If you’ve been arrested and imprisoned, then you will need seasoned counsel for your Criminal Defense case. Attorney Dean Phillips can help you navigate your bail hearing in Magistrate, State, Superior, or Municipal Court. Bail is your promise to the court that you will return for hearing and trial dates in exchange for release. Sometimes, you may be released on your own recognizance, and no money will be provided to the court, or you will offer a set amount of money or property in exchange for your freedom. If you fail to attend your court dates, then you will forfeit your money or property. If you cannot afford the bond amount, then you may require the services of a bond agent. He or she will pay your bail and take a percentage of the bail money upon your fulfillment of your promise to the court. This is known as bonding out. 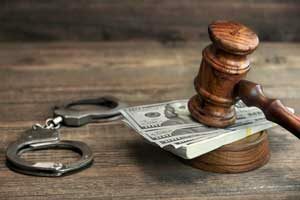 Whatever the case, the U.S. Constitution stipulates that bail cannot be set so high that it is deemed a form of punishment. It should only be an amount necessary to ensure that you keep your promise. At your first appearance in court, the judicial officer (magistrate or superior court judge) may set bail or will schedule a commitment hearing for the purpose of setting bond. During this hearing, the judge will determine your likelihood of appearing in court for various hearings or trial. O.C.G.A. § 17-6-1 offers further details on bail eligibility. Felony bond jumping can result in one to five years in prison and/or a fine of $5,000.00 or less. Misdemeanor bond jumping can result in a year or less of prison time and/or a fine of $1,000.00 or less. Misdemeanor out-of- state bond jumping applies to you if you fled the state and were charged with certain misdemeanor crimes. This can result in one to five years in prison and/or a fine between $1,000.00 and $5,000.00. Attorney Dean Phillips can help you establish a defense. You may have had legitimate reasons for missing your court date such as having a mental or physical disability. Georgia law provides other conditions that might excuse you from bond jumping, and you will need Dean Phillips in your corner to determine your options. Mr. Phillips can represent you if you were arrested or jumped bail in Marietta, Cobb County, Paulding County, Bartow County, Acworth, Austell, Powder Springs, Smyrna, Kennesaw and Woodstock. For a free consultation for your criminal defense case, call 770-415-0933.